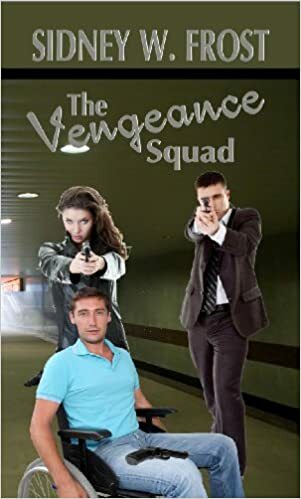 In celebration of the 60th Amazon review for THE VENGEANCE SQUAD, I've lowered the price for the Kindle edition from $2.99 to $1.99. This is temporary, so get your copy soon! When Chris McCowan's fiancée, 24-year-old Sarah Eason, is killed during a bizarre robbery near Austin, Texas, an unlikely trio teams up to find those responsible for her death. The trio, Chris, a 31-year-old computer science professor, Percy "Tex" Thompson, a 40-year-old wheelchair bound ex-con student of Chris', and 65-year-old head librarian Liz Siedo, pool their talents to find the criminals after local law enforcement agencies have given up. Chris wants an eye for an eye even if it means giving up God and the church where he and Sarah were to be married. He sets out to learn the tricks of the trade from his ex-con student, all while continuing to teach and coming to terms with his grief. Angela, who claims to be an FBI agent, joins the Vengeance Squad to help the three find the killers. Sidney W. Frost is a former computer science professor, ex-marine, and author of Where Love Once Lived, a prize winning inspirational novel.